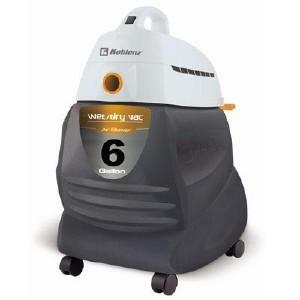 This quality Klobenz is the only vac you will ever need. It has a large 6-gallon capacity that makes it perfect for a variety of cleaning chores in your home, workshop, garage or office. Plus it features a 2-1/4 peak HP motor that packs plenty of power, spill proof security system, two types of filters and a blower mode for cleaning debris from sidewalks, deck, garage floor and more. Comes with two wands, hose, floor tool with squeegee and pickup tool. 1-year limited warranty. "Want to thank you so much for your prompt and excellent service. Everything went so smooth and my husband was thrilled with his gift. We certainly will do business with you in the future. Thanks to everyone that was involved in this excellent service."